Heard of the hashtag #fivemilefood? I thought I'd check it out. 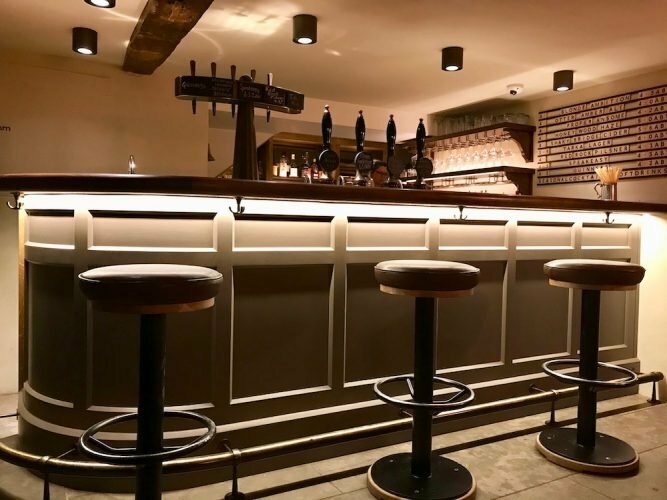 A new pub and new venture? Super-glad I did! 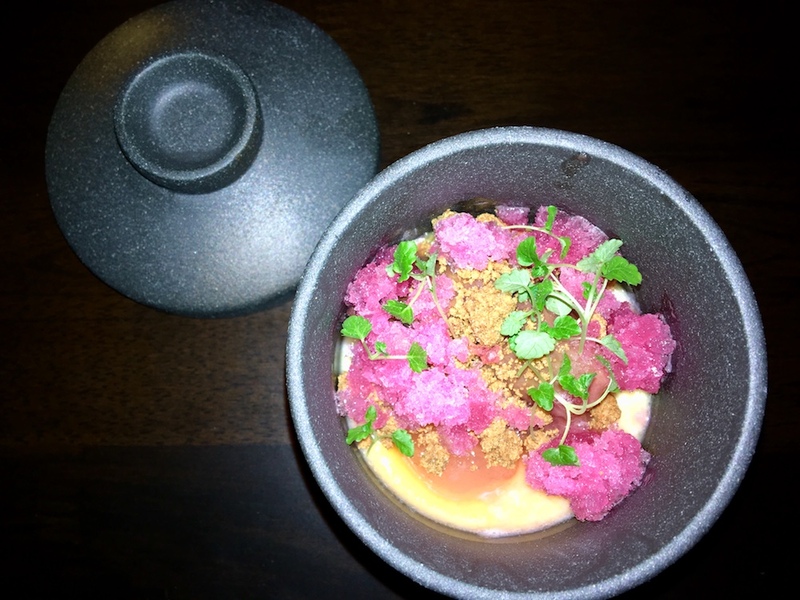 The planets aligned recently and I got to experience two separate indie ventures, coming together in one beautifully evanescent partnership, AKA a seriously stonking pop-up supper. Shall I explain? 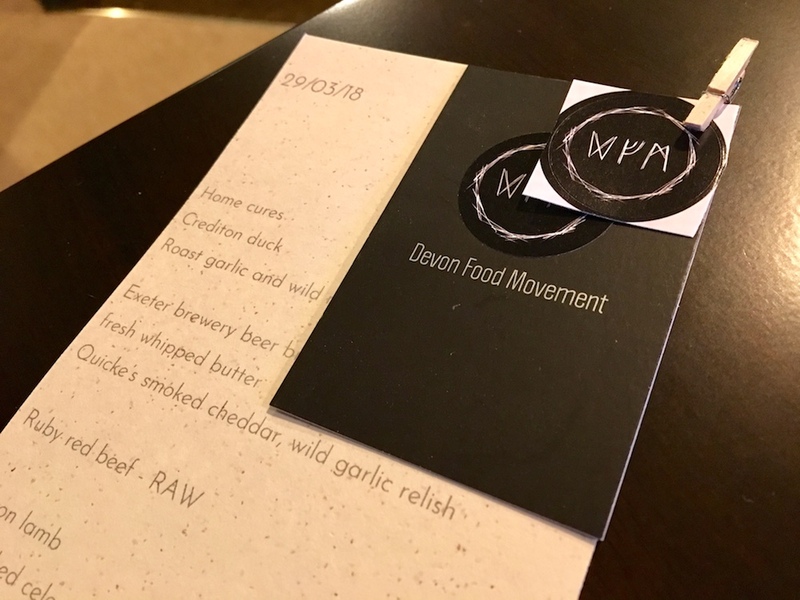 The #DevonFoodMovement, it turns out, is a fresh new idea from chef Luke Fearon, having departed his post at the Muddy Award-winning pub The Treby Arms, in Sparkwell *sob*. While he takes some time out from a full-time residency, he’s come up with a plan that suits both him – and us – down to the ground. Quite literally. 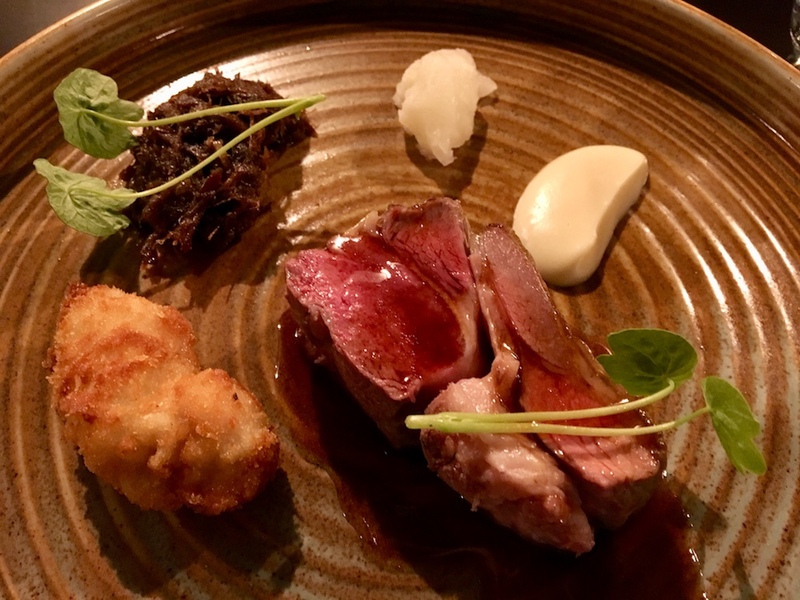 His mission is to produce a series of exclusive pop-up foodie experiences across Devon where only one thing is consistent: the menu, often up to 6 courses, will be designed with all the prime ingredients sourced within a five mile radius of the venue. Imagine getting your head around that? 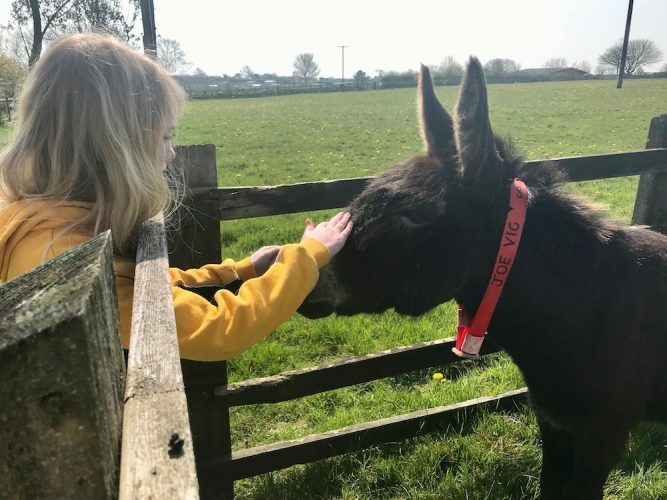 I think it’s a great idea – challenging for Luke, fun for guests who get a unique experience every time and enlightening as we learn about the weird and wonderful producers and suppliers that exist in our lovely patch of the country. Also very on-trend; I mean, how cool to snaffle a table at a one-off event? NB: the first sold out in 24 hours so there’s a clearly a lorra love for both chef and concept. 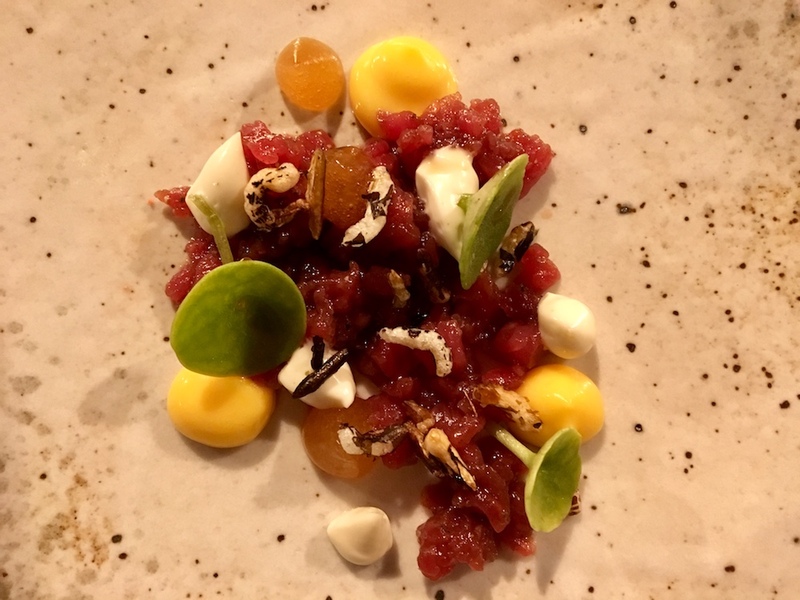 The second part to this story then, is the venue; as each event is a collaboration between Luke and the the resident chef, every one is carefully chosen to showcase the menu at its best, so expect to see a few quirky names on the bill, from farms to pubs and rustic foodie spots. 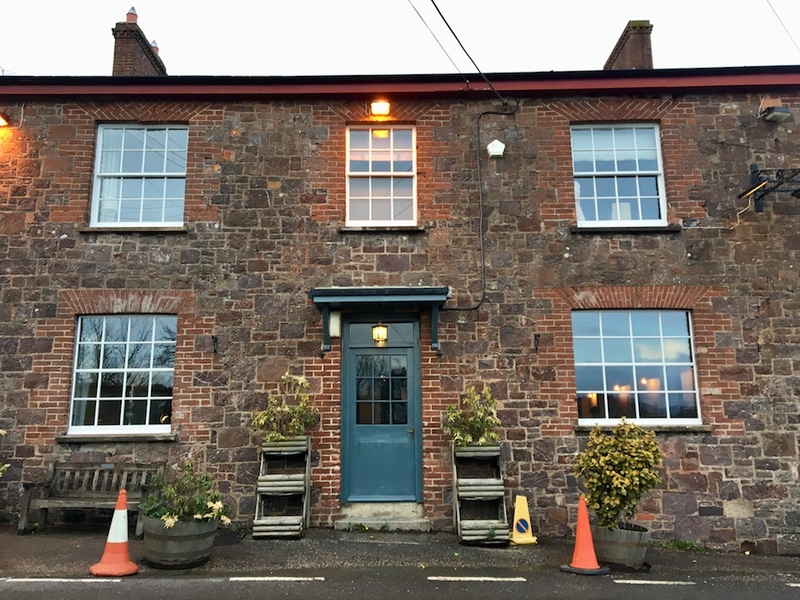 We were invited to the second event, taking place at The Lamb at Longdown, just to the west of Exeter, a newly re-opened village pub with chef Dolton Lodge (formerly of the Galley Restaurant in Topsham) now at the helm. A great opportunity for me to have a sneaky nose around. 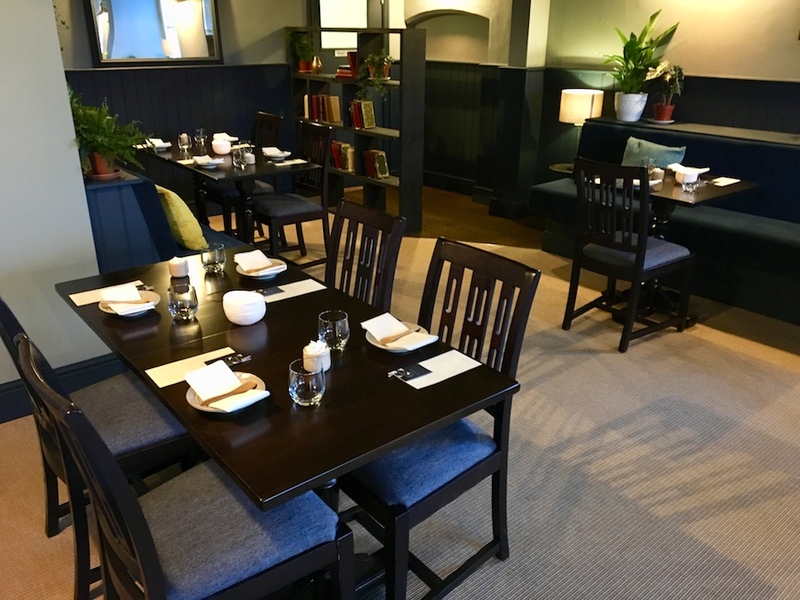 The pub has had a spanky and plush new refurb, to fit with its mission of being a smart dining spot, while retaining its character as a through-and-through country pub. 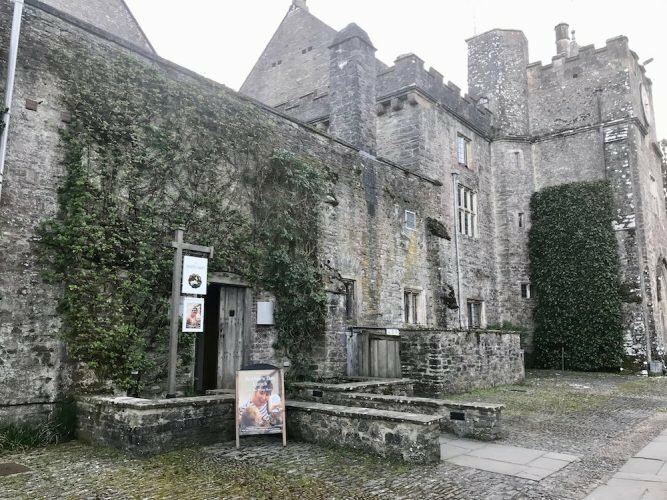 If the regular menu is anything to go by, this is one to add to the list and try out en-route to a stomp across Dartmoor. But back to our evening celebrating the ‘hyper-local and hyper-seasonal’, for which we were hyperventilating at the thought of, by the time we arrived. Introductions were rapidly followed by a selection of mini treats to start us off: a platter of home cures, Crediton duck and roast garlic and wild mushroom doughnut. Well, we weren’t expecting any of that; a fabulous start. 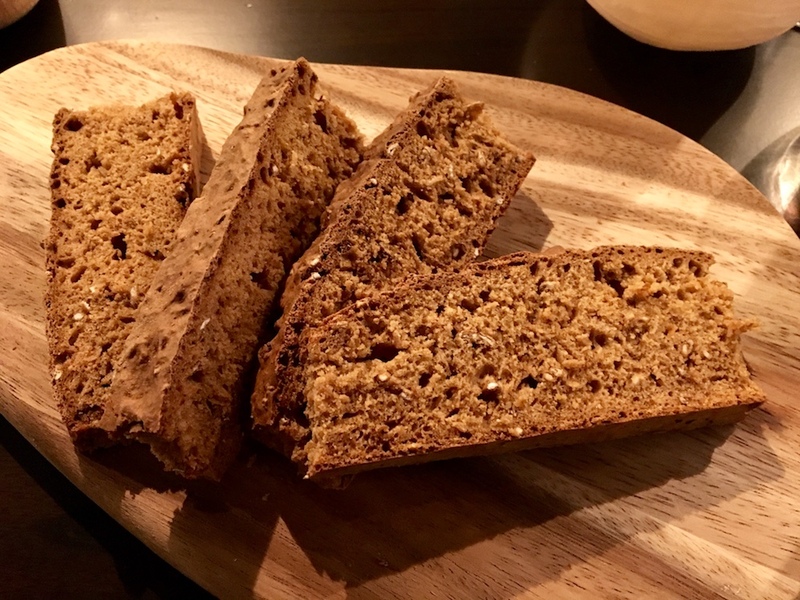 Next came some Exeter brewery beer bread, with freshly whipped butter (amazing) and Quicke’s smoked cheddar and wild garlic relish. Every course was introduced and explained, with ingredients and producers revealed, so as not to be accused of breaking the five mile rules. The garlic in the relish, for example, was picked from outside the window. Jeez. Next, onto Ruby red beef, raw, but beautifully paired with the yolk and finished with a puffed wheat crunch, for texture. Followed by Devon lamb, hay baked celeriac, nasturtium and the teeniest tiniest rye muffin. Wow. 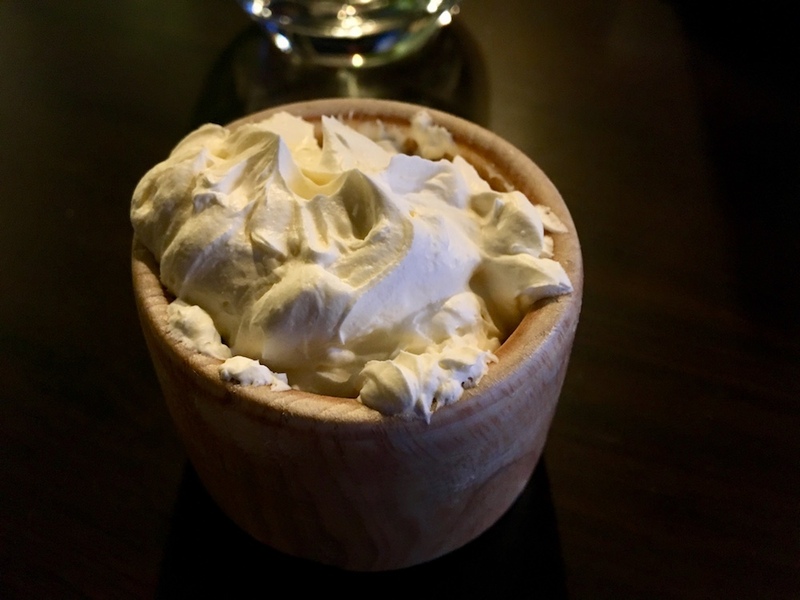 By this point we were seriously impressed, not only by the quality of the dishes but by how much thought had gone into creating the menu going on ingredients from within – did I tell you – a five mile radius? Honestly? 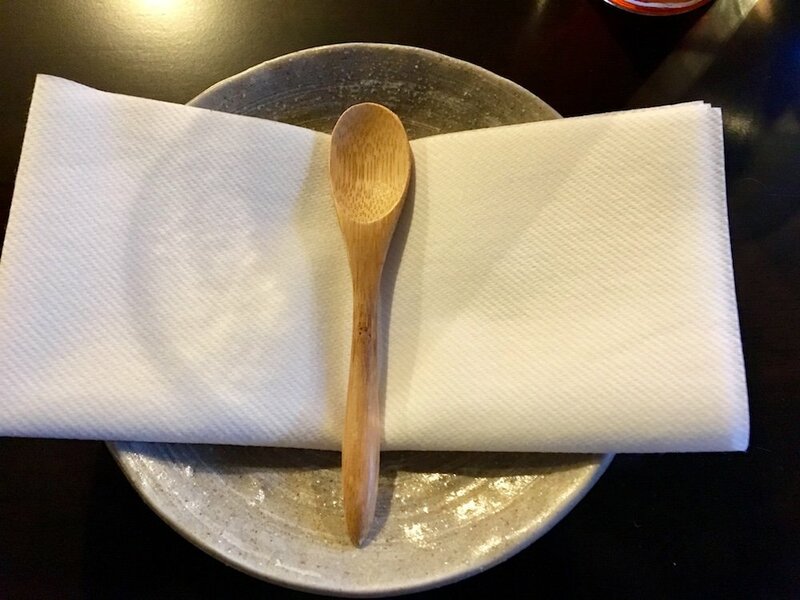 What a meal and an inspired idea brilliantly executed. The whole experience was proof of how good the produce is in this part of the world and a nifty showcase of Team Fearon/Lodge’s combined talents. 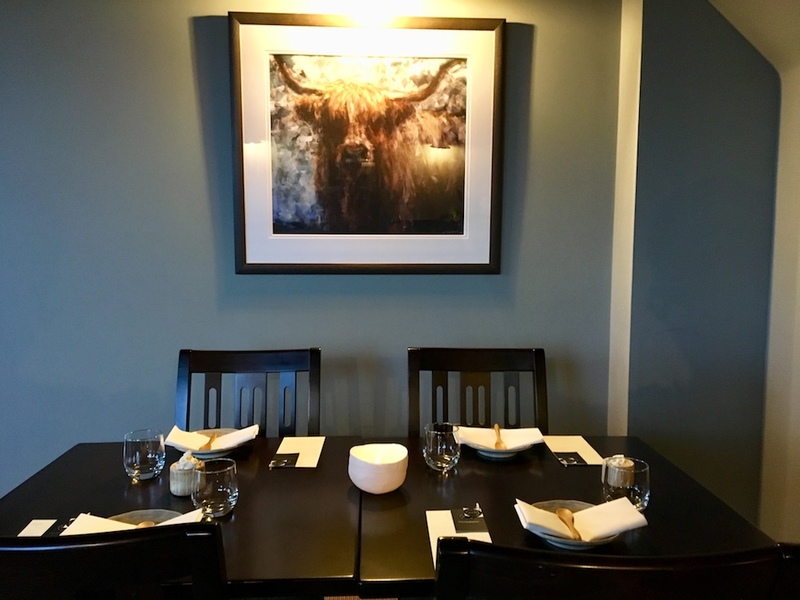 In terms of dosh, the cost varies slightly from venue to venue, but our night cost guests £35 for 5 courses, with a mini pot of wild garlic relish to take home, too – you can’t argue with that and it’s part of the reason why these fab events are the hottest ticket in town. 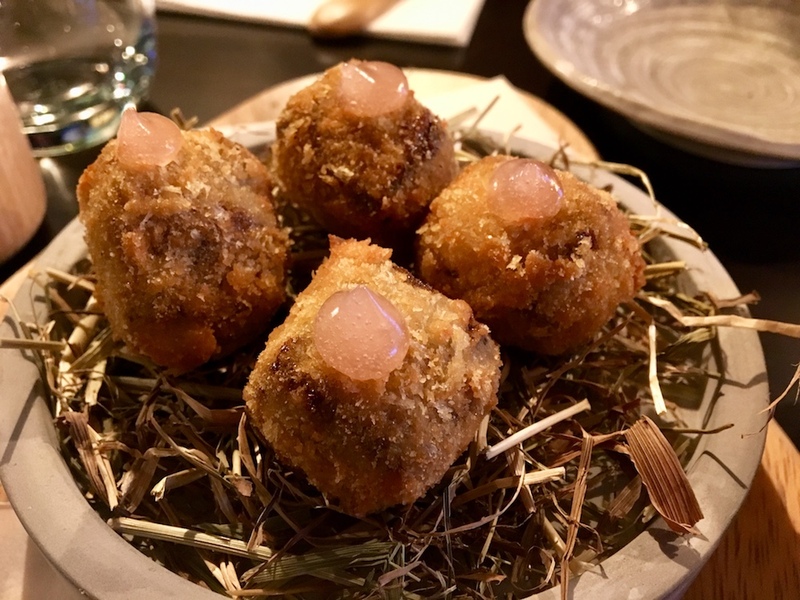 Expect to see more popping up over the coming months, as the produce offering and the seasons change, before Luke decides to settle back down into a permanent residency. If you see one happening near you, I’d say it’s a reason to be excited. Race you to the phone! To book onto the next available event, the Rusty Pig takeover feast in Ottery St Mary (£40 for 6 courses + surprises), call: 01404 815580. And if you miss that one, more are planned for May, just ferret out the Facebook and Instagram pages for the Devon Food Movement: @fivemilefood for future events and go get yourself a table immediately!